Finding the right words at a time of loss can be frustrating. An experienced Unitarian Universalist minister and the author of In Memoriam: A Guide to Modern Funeral and Memorial Services, Edward Searl has been aiding people through this difficult passage for more than a quarter of a century. In Beyond Absence, he has collected powerful and inspiring writings, both religious and secular, from across the ages and around the world, to help anyone struggling with life's final transition. This extensive volume contains selections from the famous to the obscure and some works are previously uncollected. Contributors as varied as Thich Nhat Hahn, Thomas Wolfe, Vincent Van Gogh and Rabindranath Tagore explore many themes associated with death and dying including death as peace and rest, conflicted feelings about the dead, loss as transformation, healing and letting go, compassion for the bereaved, the joy of remembrance, and celebrating and honoring the dead. 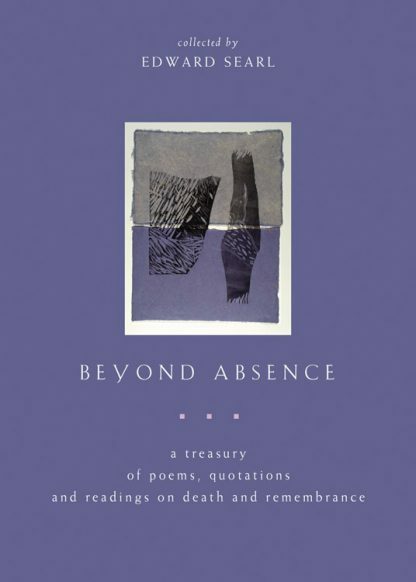 Perfect for composing eulogies and readings for memorials and funerals, Beyond Absence is also the ideal resource for creating sympathy and condolence cards, offering comfort to the bereaved, and engaging in personal reflection during mourning and recovery.